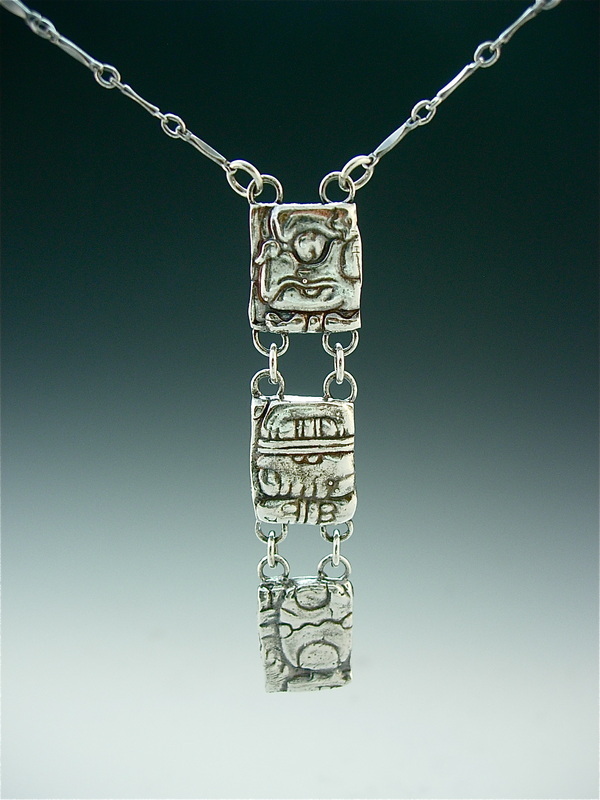 I use a museum replica of a Mayan wall relief found in Palenque, Mexico, as inspiration for the following pieces. The original artifact is known as the "Tablet of the Foliated Sun," and depicts an offering scene. A description card is included with each piece. 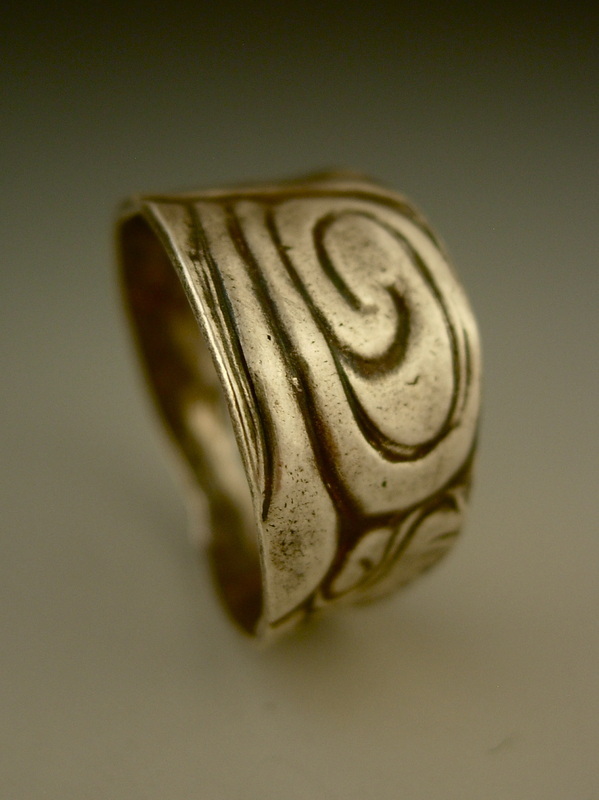 Available in sizes 6-9, sterling silver. Tapered in the back for comfort. 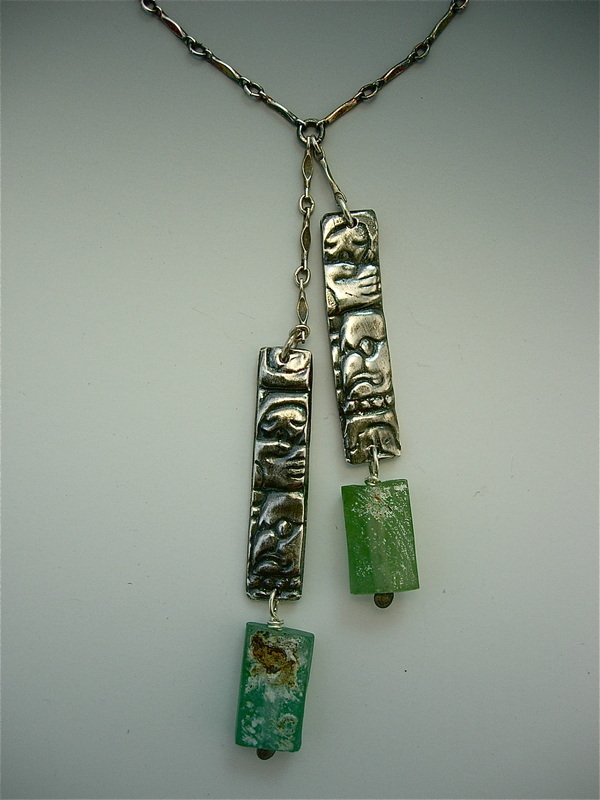 Sterling silver imprints of Mayan glyphs, about 2" long each, with drops of aqua green apatite gemstones. Each gemstone will vary slightly in size and shape. Sterling silver chain, 16" or 18". 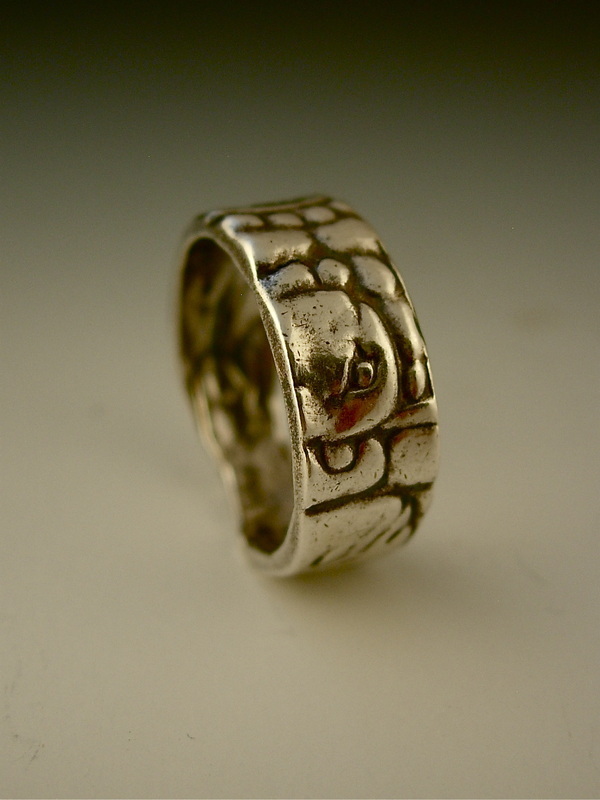 About 1/4 " wide sterling silver band with imprinted Mayan glyphs.